The Florida Restaurant and Lodging Association (FRLA) would like to introduce you to VISIT FLORIDA&apos;s new President & CEO, Ken Lawson. Ken, who was the unanimous selection of the VISIT FLORIDA Board of Directors, assumed his new role earlier this year. 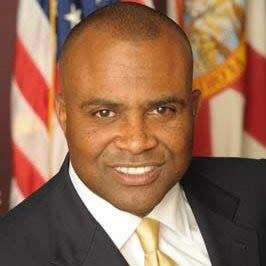 A native Floridian and former U.S. Marine Corps Judge Advocate General, he has spent 12 years serving and protecting the public in numerous regulatory positions, including his most recent work overseeing — among other divisions — restaurants, hotels and vacation rentals with the Florida Department of Business & Professional Regulation (DBPR). During his six-year tenure with them, he managed a team of 1,600 employees charged with licensing and regulating more than 1 million businesses and professionals throughout the state. In a message to the industry, Ken outlined his plan for the near term: “In the days to come, I will be meeting with each of my new staff individually to hear their ideas for moving forward successfully. I will be personally reviewing all aspects of the day-to-day operations of this great organization to ensure we are fully accountable to the governor, a Legislature and the taxpayers of Florida in all our endeavors.